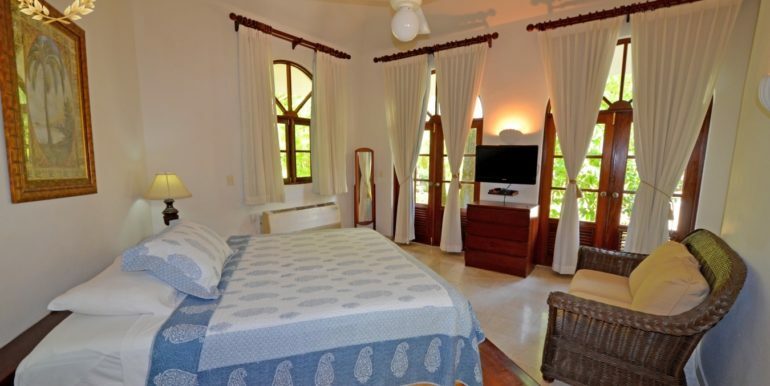 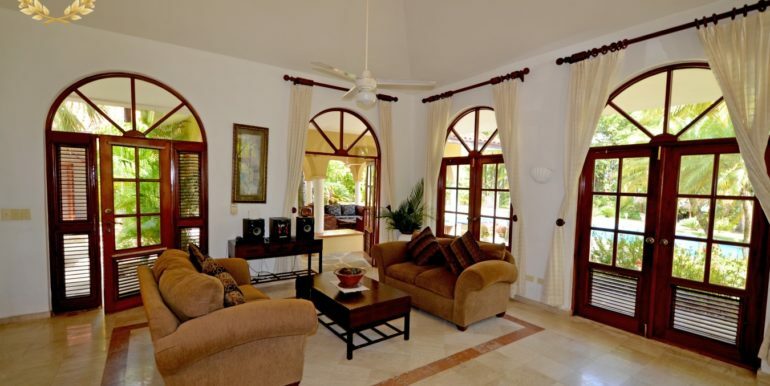 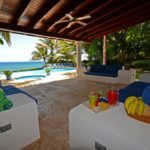 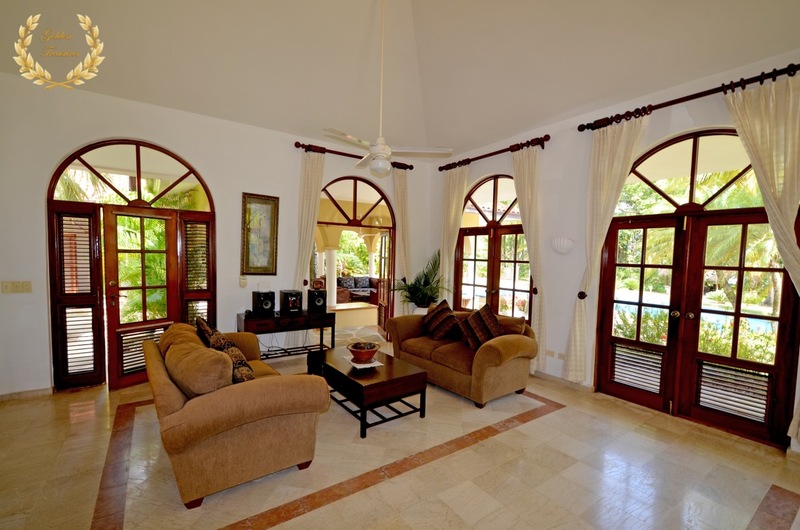 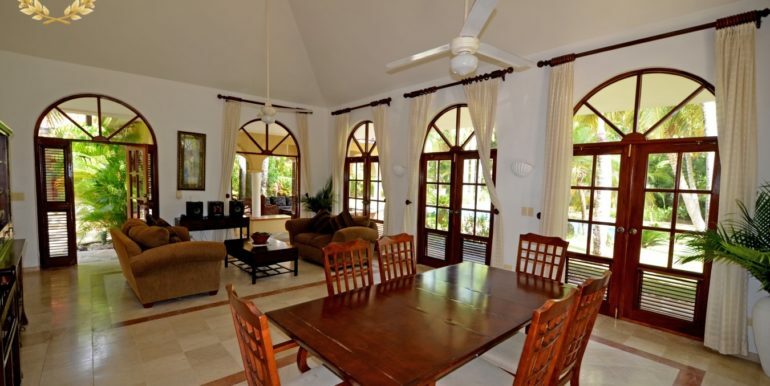 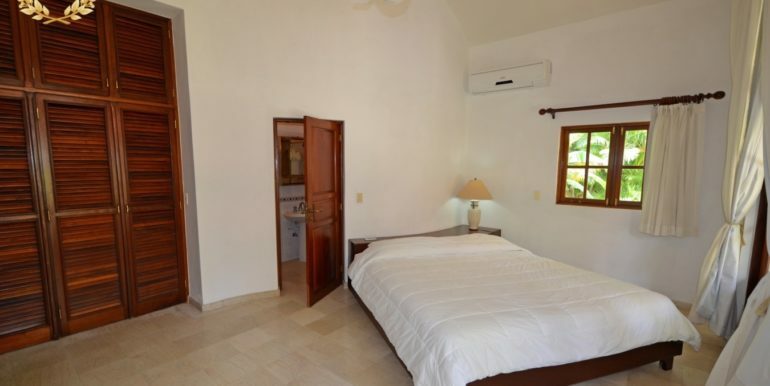 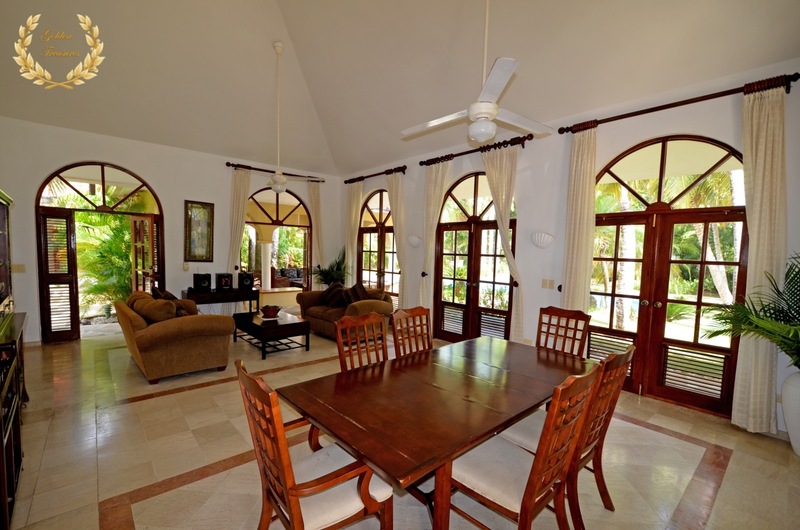 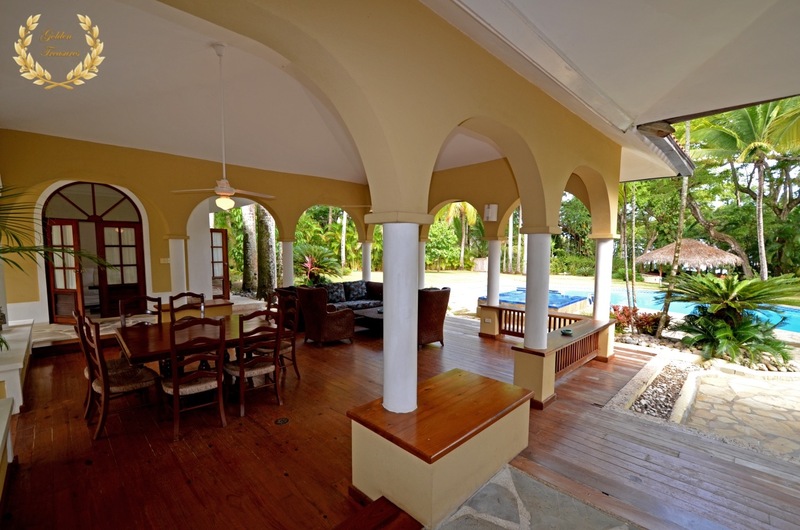 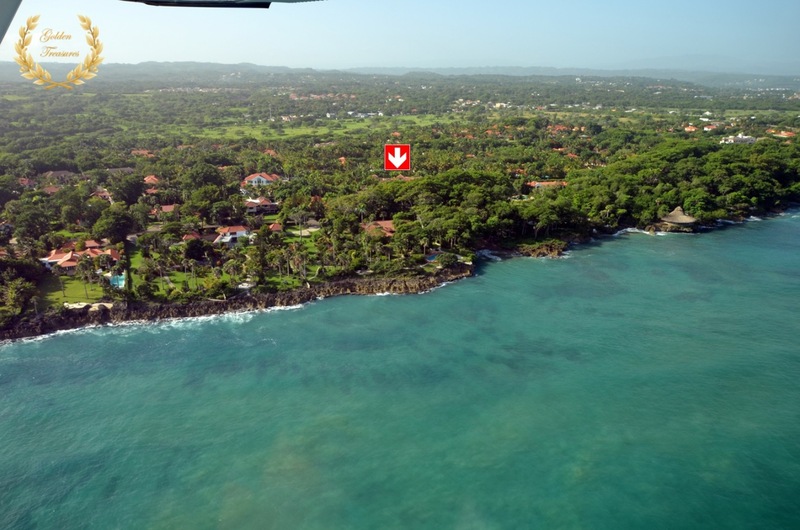 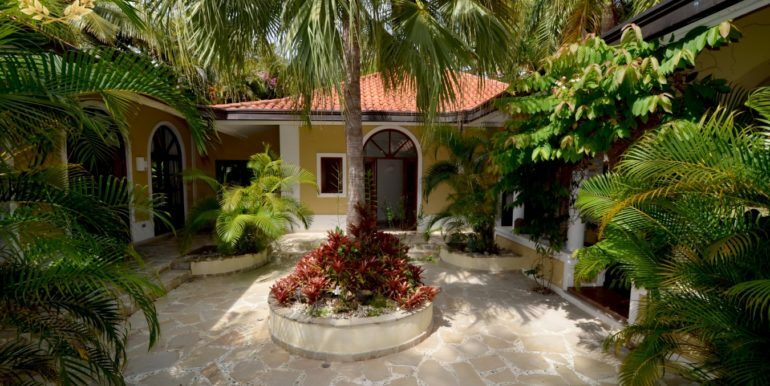 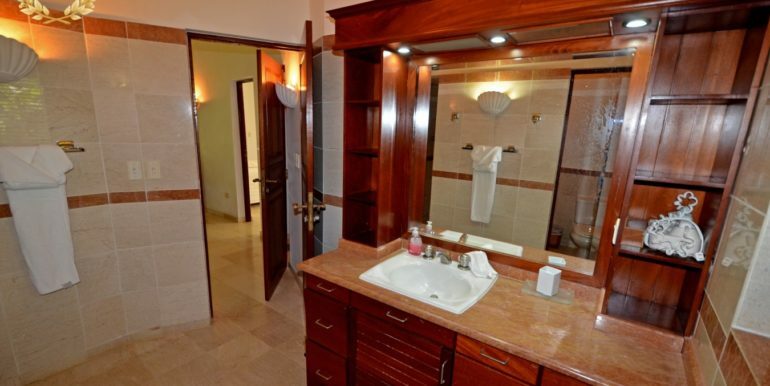 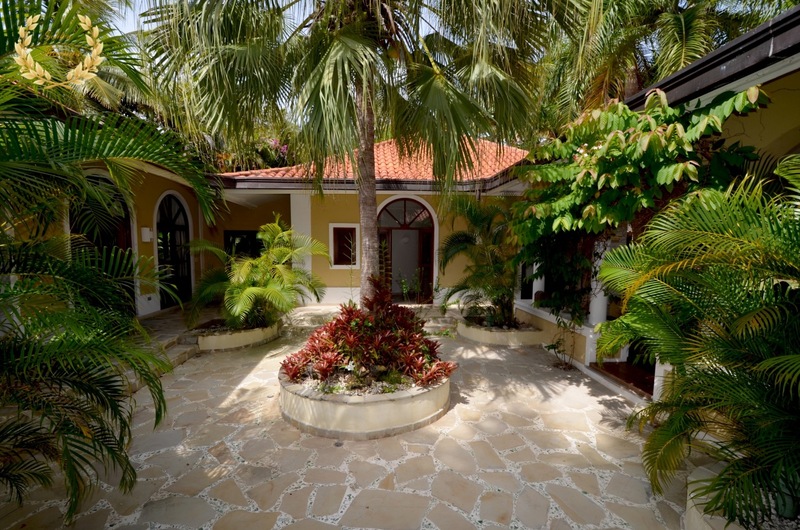 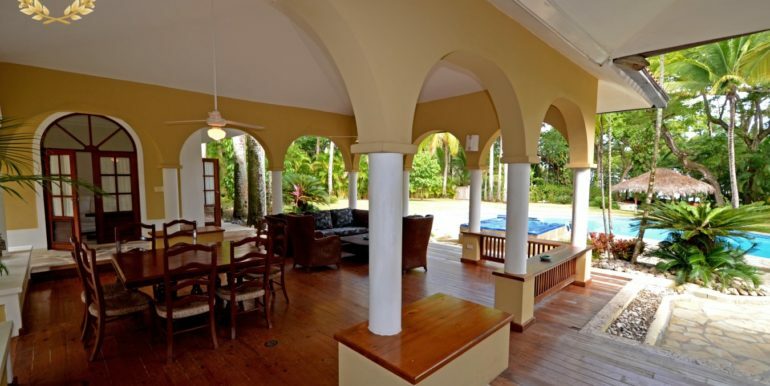 A popular oceanfront villa rental in Sosua all year long, this cozy villa is located just steps from a private secluded beach in a very prestigious upscale gated community. 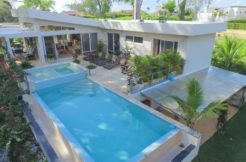 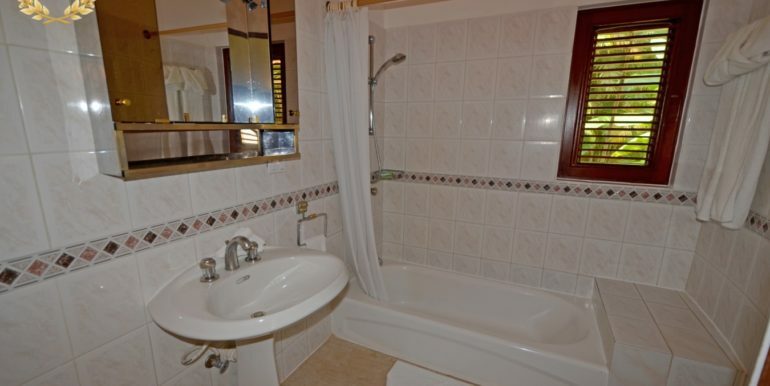 It has 5 bedrooms, six bathrooms, living/lounging room with ocean view, and privacy throughout the property provided by a surrounding fence covered with palm trees. 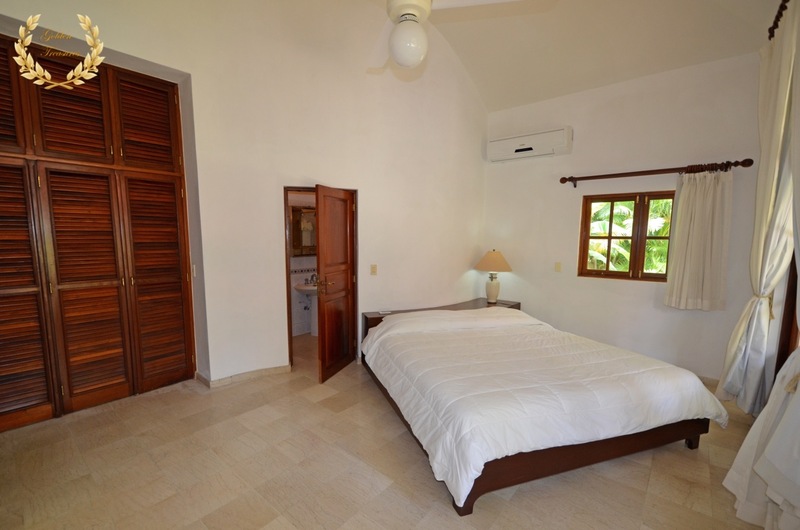 A two room guest cottage provides additional space if you travel with the kids, besides the 4 suites with private bathroom. 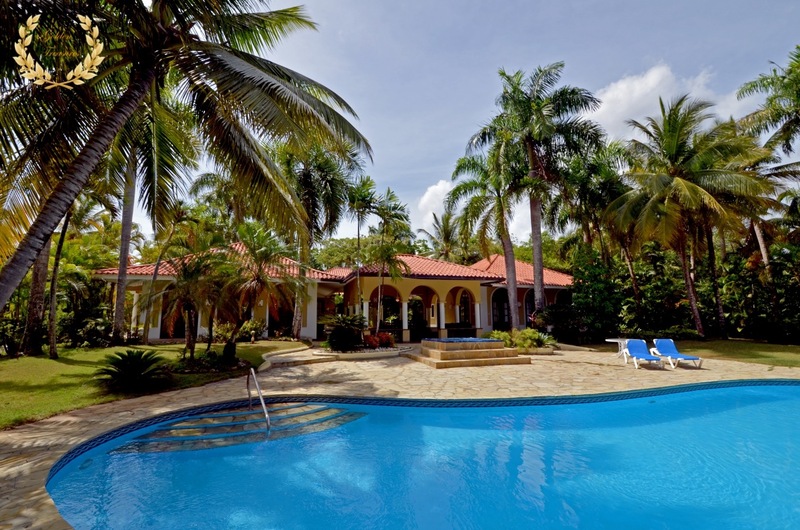 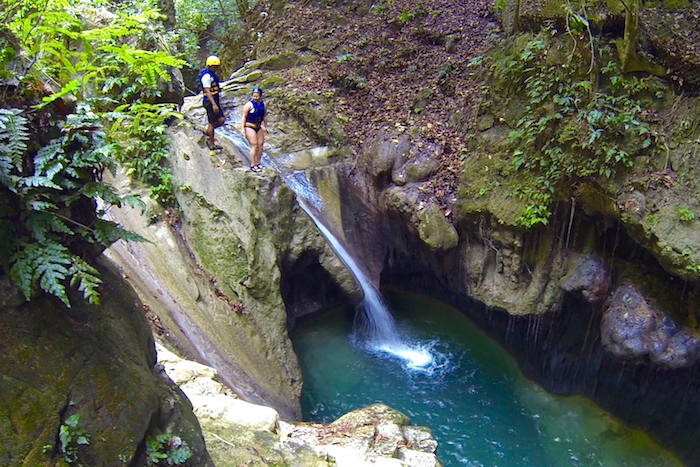 The swimming pool is very generous, with polished-rock covered steps that look incredibly beautiful under the sun. 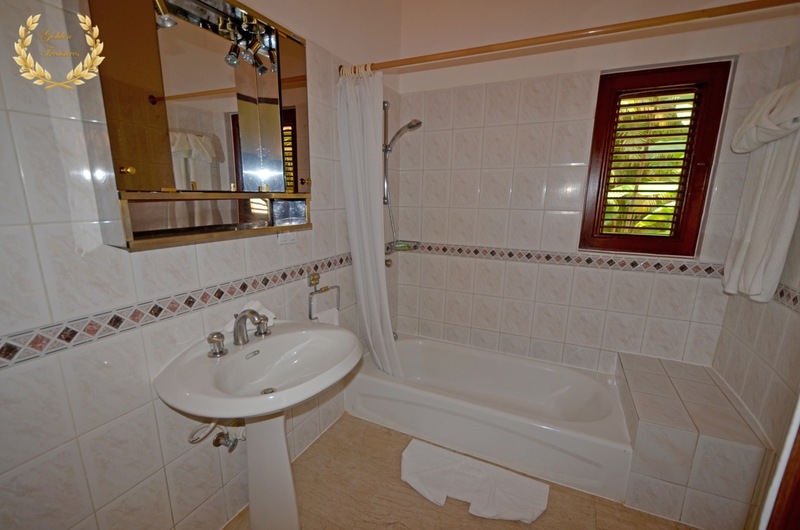 An outdoor Jacuzzi sits between the pool area and the veranda, perfect to catch the sun. 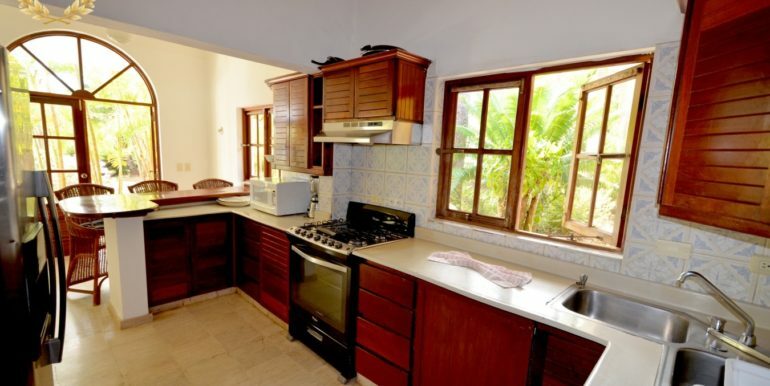 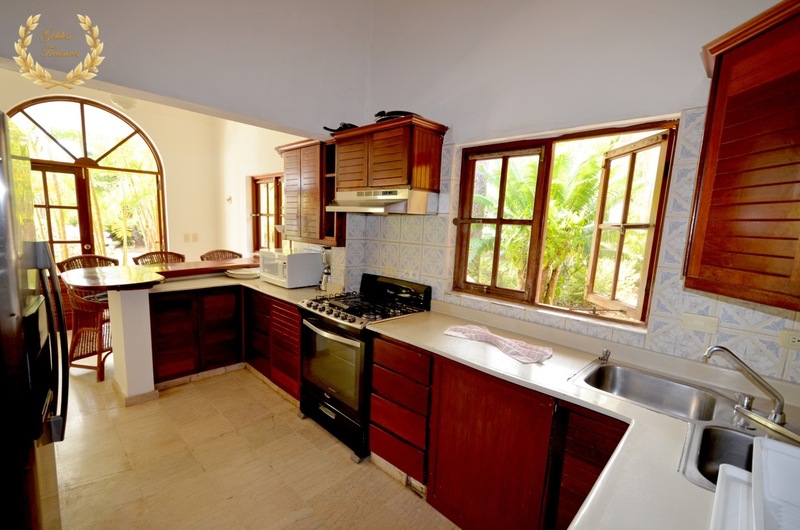 The family-style kitchen of this luxury villa is fully equipped so you can prepare your foods as you comfortably do at home. 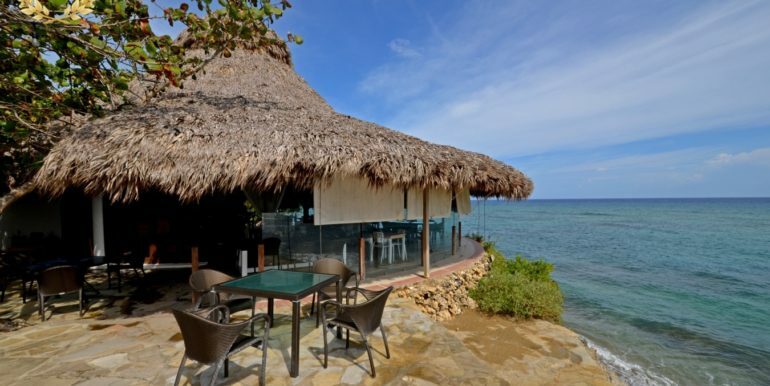 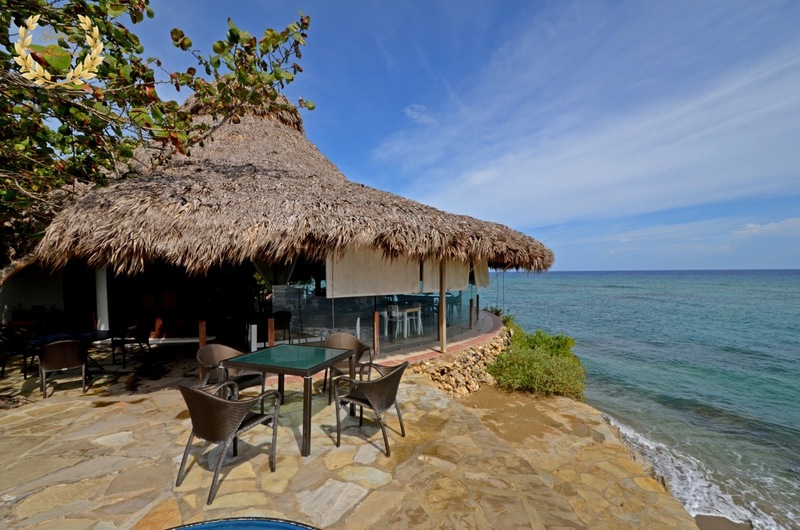 The kiosk offers a great ocean view and sitting area to enjoy family reunions, or just a moment to enjoy the sea breeze. 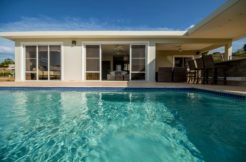 All visitors to this home always return because it offers a serene atmosphere, refined luxury and an affordable rental price. 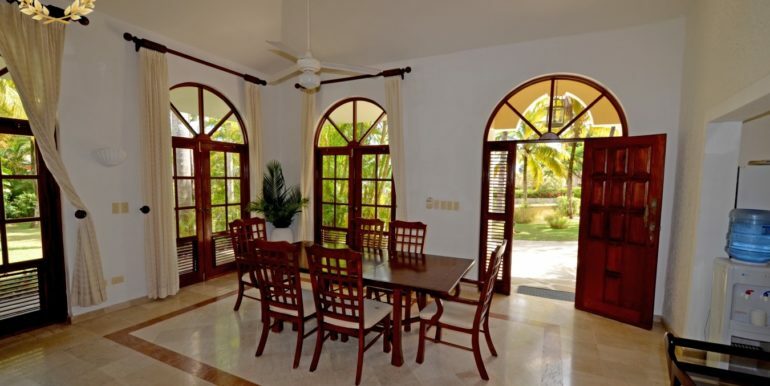 Fine dining, shopping, sports, activities and business are just minutes away from this exclusive villa rental. 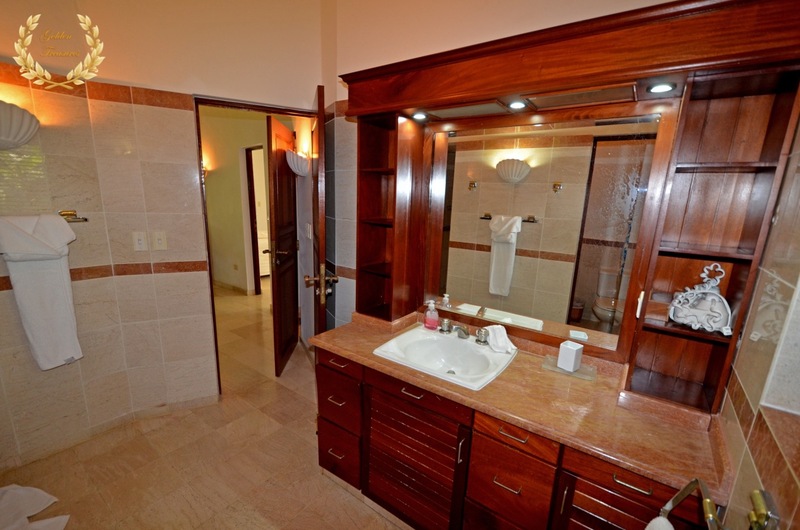 Spa Services can be provided in the villa if you would like to enjoy a personalized experience. 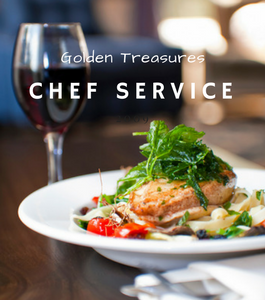 On Call Concierge assistant services are included. 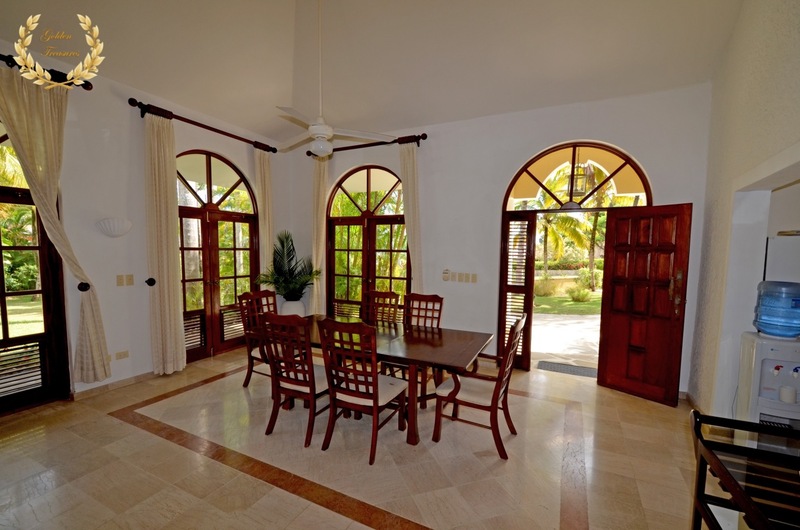 Villa rental ref # spc0231. 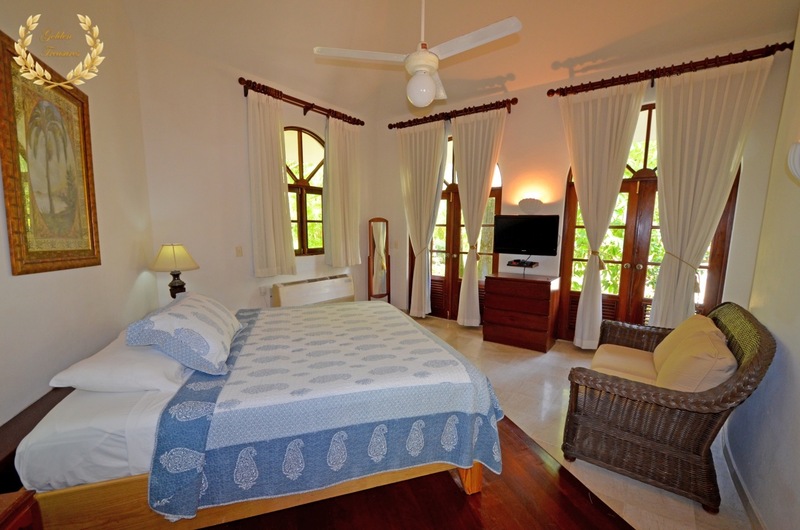 Before booking, please be sure to ask about any extra power usage charge on certain villas, guest policy and daily maid service. 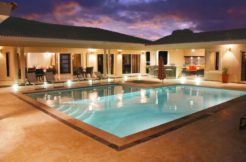 All villas require a refundable security deposit against damages. 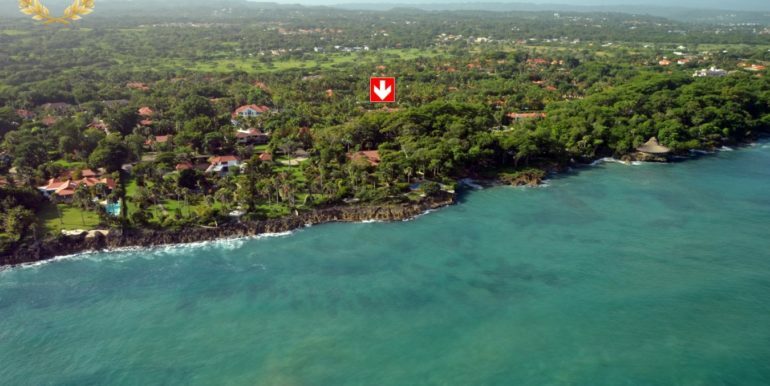 For real estate sales please visit our homepage or contact 829-477-2038. 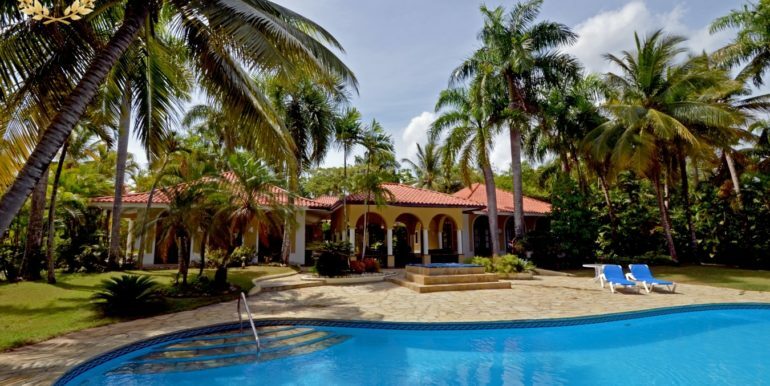 Copyright © 2008-2019 Golden Treasures Dominican Republic.